Freshman year, I started on the freshman basketball team. I made at least half of the team's points, and sometimes more. Sophomore year, I started on the JV team. And again, I scored at least half of the team's points. But this year is not what I expected. You see, I am a post player. For those of you who don't play basketball, posts stand pretty much under the net because we are the tallest people on the team. A wing or point guard passes the ball to the post, and then the post has to make a move and score. This is what I'm good at. This year I am on the varsity basketball team. Over the summer, I had gone to all the camps, tournaments, and league play. We had a really good summer season. However, for some reason, it's different now. I don't start, which is fine with me because I understand I can't be the best at everything. To clear things up, our team has the 'Big Three'. 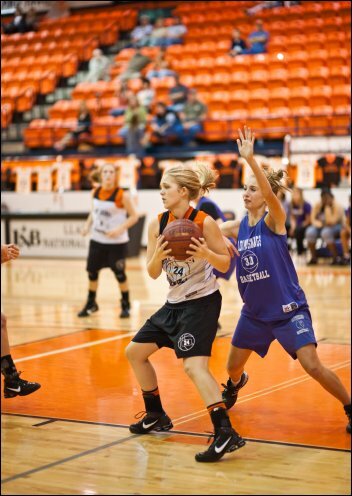 These are the girls who stay in the whole game and are great at basketball. I totally understand that, and I am happy for them. However, the rest of the team is good at basketball, and no one of them is really better or worse than the others. My coach, Coach Q, doesn't put me in. Ok, I won't get dramatic, but she puts me in literally five minutes a game, and that is only when we are winning by 30 points. If we are losing or tied, she doesn't put me in at all. If we are up by 10, I may get two minutes of playing time. It is ridiculous. For the past two years, I played the entire basketball game, and now I barely play at all? We have ten girls on the team, and when are tied or losing, I am the only one who doesn't play. I'm so tired of it. Everyone who comes to the game thinks I must be a horrible basketball player because I don't play, but it's not my fault - the coach won't play me! Now I am debating what to do from here. I could stick it out. I could go down to JV. Or I could quit. These are my options, but I really don't want to play on the JV team, so that option is x-ed. 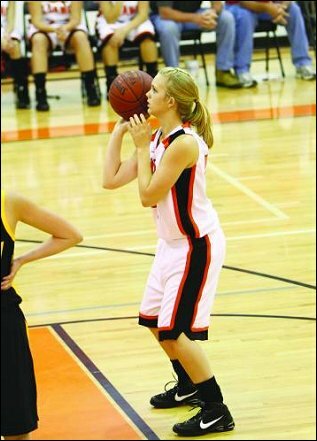 Some days I really feel like quitting, but then there are the days when I think of how much I love basketball. I have no idea what I am going to do. I don't want to be the loser player. I tried talking to my coach about it. She told me I had to be more of a threat under the basket (which means to score more). Well, coach, if you would put me in, maybe I could do something about it. I never quit anything, but this is crazy. I need help making a decision. Any decision! What should I do about this basketball drama? I'm open to your thoughts and advice, which you can give using the response form below. Stephanie Lynn will forward to me anything you write.